Who doesn’t fancy a batch of home-made cookies now and again? Try this quick and easy recipe for the weekend that is perfect for including the kids. Preheat the oven to 180C/Fan 160C/Gas Mark 4. Lightly grease two large baking sheets. Mix the flour, oats and baking powder together in a bowl. Place the butter, caster sugar and vanilla extract in a separate large bowl and beat together until creamy. Stir in the flour mixture and the raisins and mix to a rough dough using your hands. Divide and roll the mixture into about 24 balls and place well apart on the baking sheets. Flatten each ball with your fingertips to about 6mm thickness. Bake in the preheated oven for 12-14 minutes until golden. Leave the cookies to cool on the baking sheets for a few minutes until firm enough to transfer to a wire rack. Leave to cool completely. 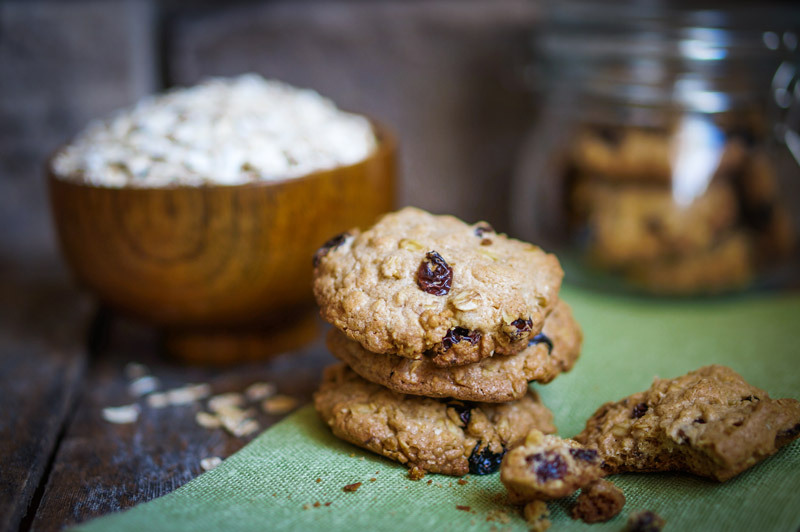 Mix it up: Replace the raisins with 150g white or dark chocolate chips, 150g sweetened dried cranberries or 150g chopped dried apricots for variety.